Founded in 1791 to serve as the nation’s new capital, Washington, DC is steeped in American history. However, with heavy traffic and extremely limited parking, the best way to see the sights and make the most of your time is with one of our hop on hop off bus tours. From the ground, take in the immensity of our country’s national treasures. Student trips to Washington, DC are both thoroughly educational and thoroughly fun! 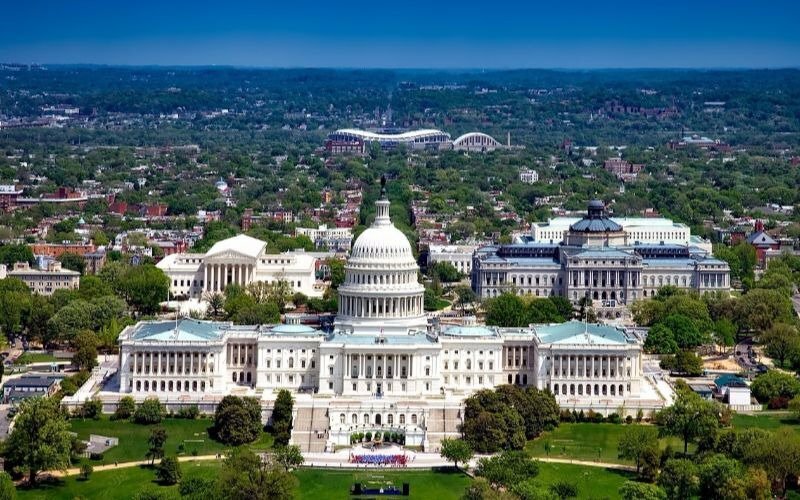 Washington, DC tours feature excursions to the White House, the Capitol, the Smithsonian and Arlington National Cemetery. Most visitors spend several days in Washington, DC as the city offers countless incredible sights and excursions for student groups. The city is host to almost 180 foreign embassies, creating the perfect opportunity for student groups to learn about the United States in a global context. Take in the enormity of the Lincoln Memorial while exploring the National Mall, then explore the city and discover a variety of unique shops and eateries. Because Washington, DC offers so many opportunities for student groups, we are happy to customize the ideal student tour to DC, tailored specifically to your needs. In addition to museum and monument opportunities, there are plenty of options for students to let loose after a long day: enjoy a ghost tour in Alexandria, an IMAX movie at the Smithsonian, or one of several harbor cruise options. Visit the Smithsonian Musuem Mall where you can visit the National Air and Space Museum, Museum of Natural History, and/or the American Art Museum, and more.